Your home and interior design can say a lot about you. Decorating your interior space can help to show off your personality, and can be a fun process too. 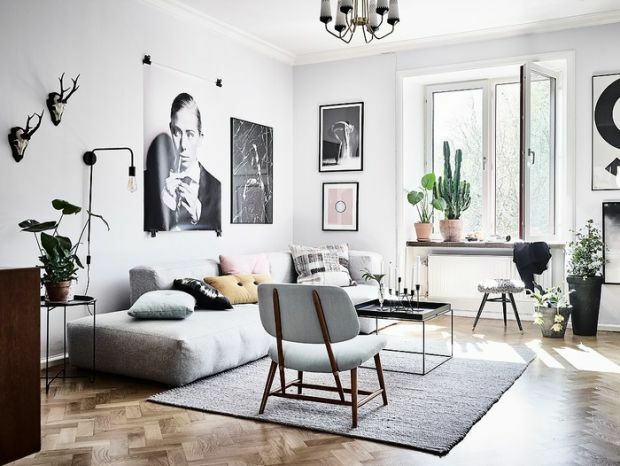 So, if you appreciated the details in design, and want to create a chic, high-spec finish to your home; take a look at the following hints and tips, before visiting any DIY stores. You might not have a huge budget to spend on your whole house; but, gradually changing things, and upgrading them, can make all the difference. Start with your fixtures and fittings, like your light switches, kitchen taps, and door handles. The smaller, functional items in your home are going to work and look better if you invest in them, and they will last for the years ahead. If your switches and plug sockets are all white plastic; consider changing them to a brushed metal, or matte-black finish. The same goes for your taps, faucets, and handles; you can invest in them one area at a time, and your home will have an elegant, pulled-together look before you know it. Instead of buying all your soft furnishings at once; think about getting a couple at a time, and buying good quality textiles that will withstand wear and tear. Thinking carefully and putting your money towards your cushions, curtains, and rugs will ensure that they become the cherry on top of a very well decorated cake. Taking the time to invest in each detail of your interior design, will ensure you’ll be able to see the quality wherever you look. When it comes to decorating and renovating your home, if you don’t have a clue what you’re doing, the results will reflect that and won’t be pretty. If you’re going for a complete change, then it’s worth seeking expert advice from interior designers and builders who are used to carrying out high-spec jobs. If you’re nervous to make contact, simply gain some inspiration on what can be achieved from sites like *www.milliondollarmakeovers.net.au and note what ideas, looks, and finishes you like the look of. When you have a comprehensive list of what you want and a budget in mind, you’ll be able to approach the professionals with confidence. There’s no shame in being a little (or very) house proud, especially if you’ve invested your time and money into creating your dream interior space. It can seem difficult to maintain a show home finish at all times, as family life makes it a pretty impossible task. However, having a regular cleaning and tidying routine will help you maintain your home’s fresh appearance. Remember the little things again, and fluff cushions, straighten rugs and wipe any marks from your new fixtures and fitting. Doing the small tasks regularly around the house will ensure that it has that newly renovated appearance for longer, and you’ll love walking through the front door each day. Check out www.mydomaine.com for 25 brilliant hacks to keep your home tidy every day, and maintain your home’s beautiful presentation.